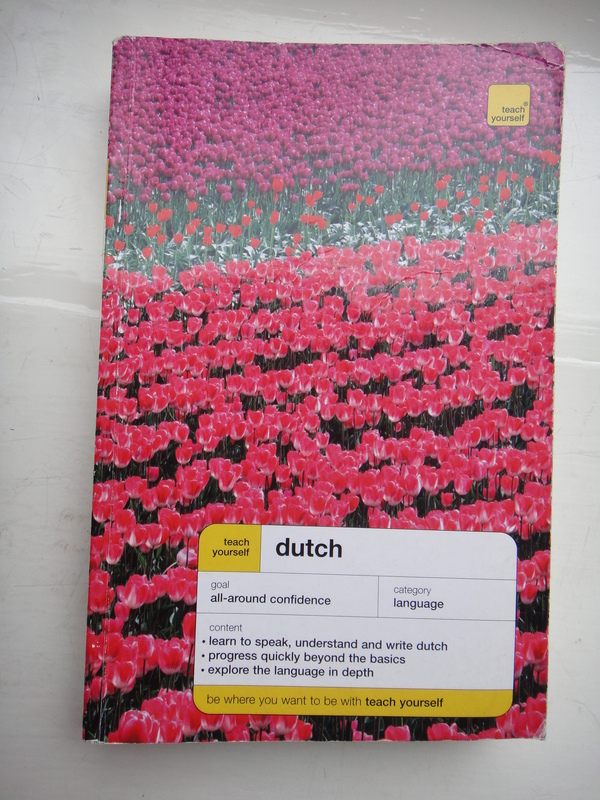 The book: Teach Yourself Dutch by Gerdi Quist and Dennis Strik, copyright 2003. The subtitle: All-Around Confidence. 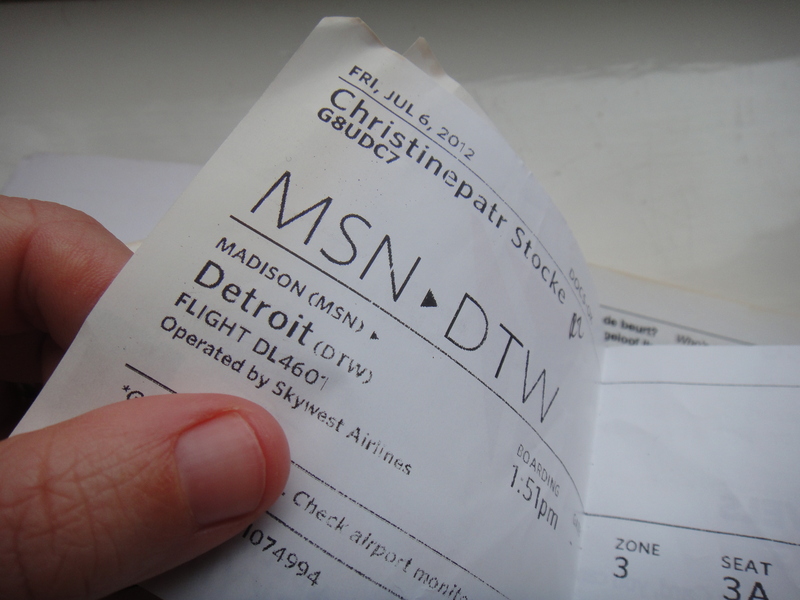 The find: two tickets from Madison, Wisconsin to Detroit, Michigan. Date: Friday, July 6, 2012.